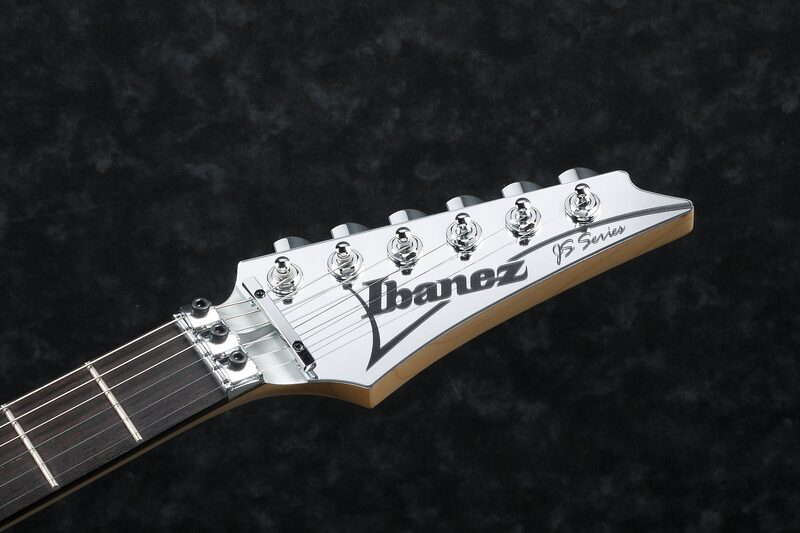 During a long partnership with Joe Satriani, Ibanez has released countless JS signature models. 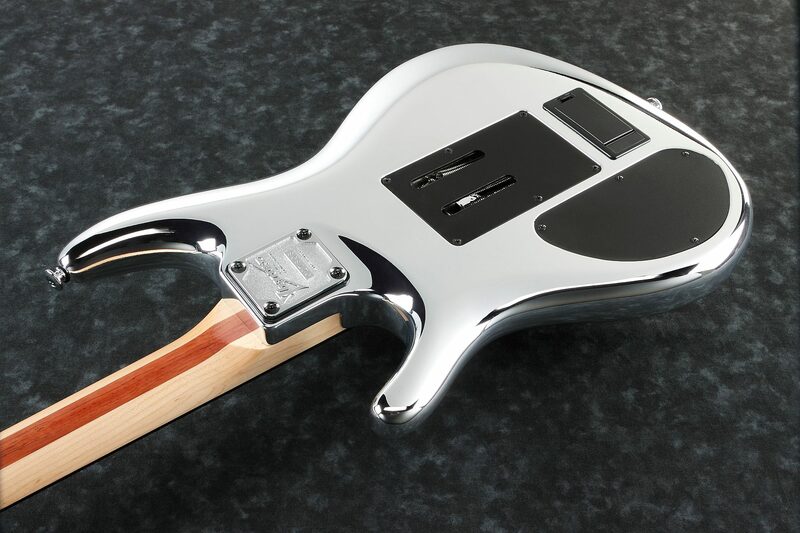 One of the most sought after has been the elusive Chrome-finished JS guitars, the Chrome Boy. Although immensely popular, the process to plate the 3-D curved body had been difficult to achieve at a manufacturing level, until now. 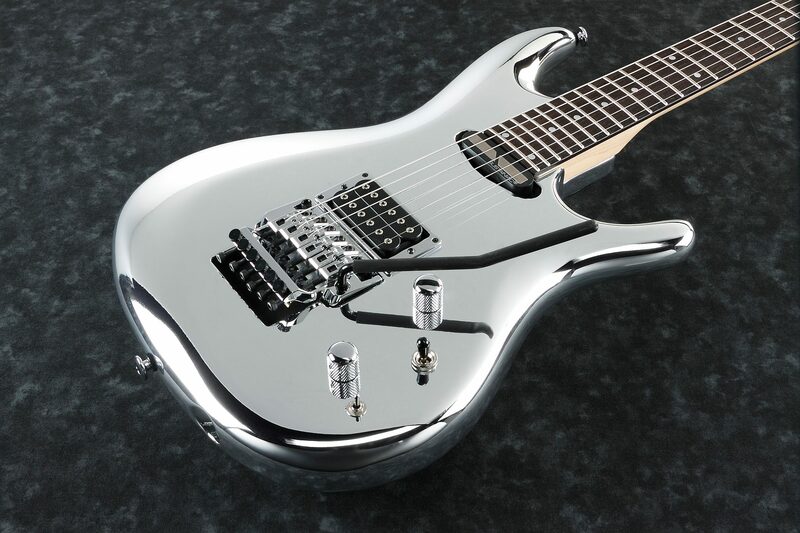 The Ibanez JS1CR Joe Satriani Signature Chrome Boy has arrived and it has everything a player needs and more. The JS 3pc Maple/Bubinga neck provides stability and longer sustain. The rosewood fingerboard has Pearl dot inlays and 24 frets. The Prestige fret edge treatment allows for smooth playability. 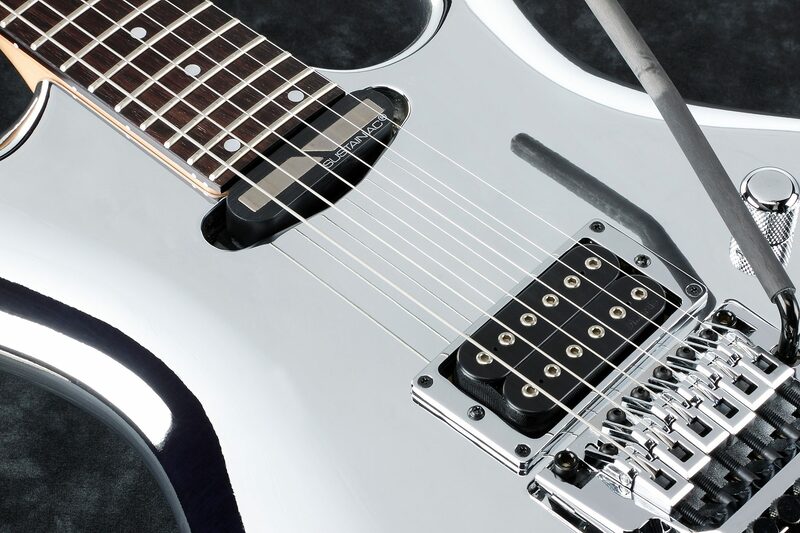 The DiMarzio Satchur8 pickup in the bridge position assists in achieving a more versatile playing style and sound. 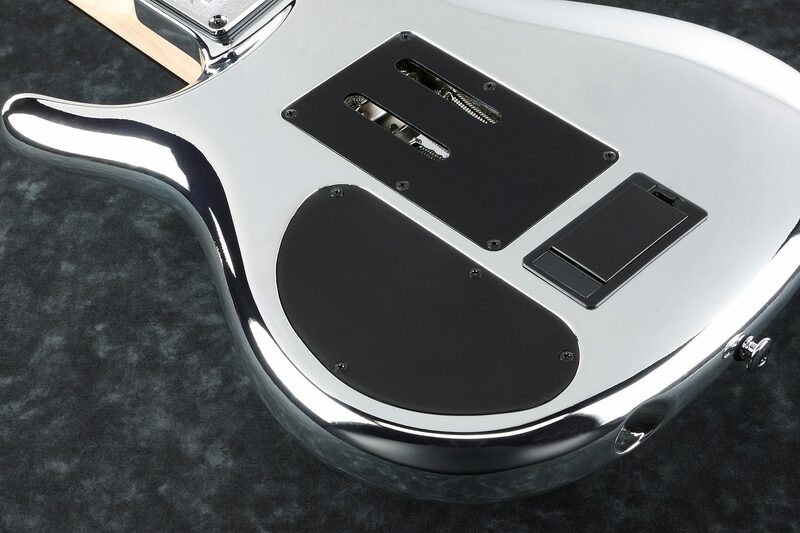 The SUSTAINIAC Driver in the neck position is wired to the "Stealth PRO" preamp, specially customized for Joe. The SUSTAINIAC Driver creates endless sustain and expands the range of expression dramatically with a 3-way Sustainiac mode selector (Normal: Sustains the fundamental; Mix: Sustains the fundamental and overtone; Harmonic: Sustains overtone). The High-pass filter on the volume pot maintains highs at low volumes. Also featured is the legendary JS/Edge Tremolo that delivers Joe's favorite feel and tone. 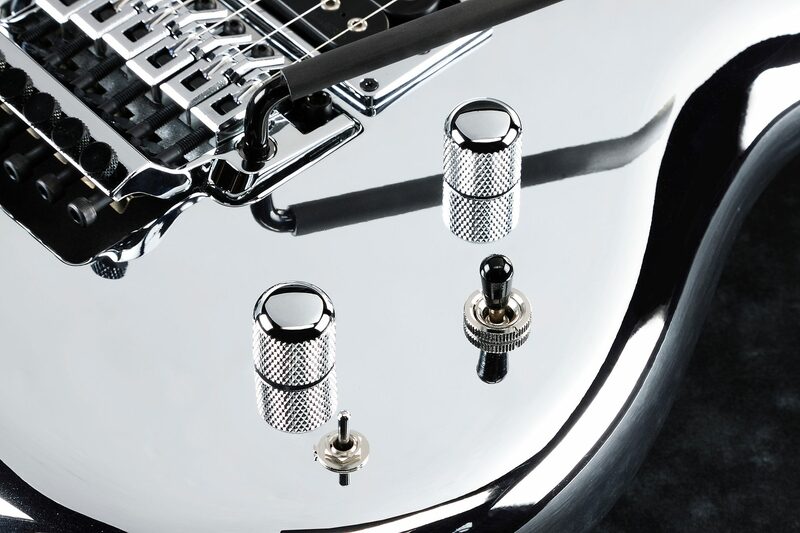 The JS1CR also includes a special case to protect its unique finish from damage during transportation. close [x]More ExpectedWe have been given a date of Jul 1 for the arrival of this item. This date is not guaranteed, rather an estimate based on either information obtained directly from the manufacturer or historical delivery data for the specific manufacturer.